Sometimes there isn't enough time in the day to check everything off your "To Do" list. Hiring more help isn't cost effective, but all that work needs to get done. What's the solution? One possibility is to streamline the work. You can replace labor intensive tasks with automation and technology which saves time and money. Let's look at how technology continues to revolutionize the moving industry. The use of software has cut hours off the workweek. CRM systems manage customer information from start to finish online. Estimators save time by minimizing the amount of paperwork and having customer information available and updated 24/7. Are there other tasks that can be modernized to improve profitability? Independent business owners and managers are constantly looking for new ways to control costs and make businesses more profitable. A close examination of all areas of your business will highlight opportunities. One of the biggest opportunities is cutting labor costs and fixed expenses by reducing redundant tasks and overhead costs, which frees up staff and money for work that drives real profits. Can your staff’s time be used in more productive and profitable ways? Are there items you no longer have to purchase because a vendor can provide for less money? Are there labor intensive tasks that can be done at a lower cost by a vendor? Are there ways to reduce expensive, long term contracts and overhead? Can an automated solution for your mover marketing reduce costs and increase profits? Let’s take a closer look at how the moving industry can use technology to improve their Marketing ROI. A proven way to reach the best leads is with Direct Mail. Postcards introduce your company and “ask” a lead for their business. Direct Mail works for the moving industry and advances in technology make it more profitable than ever. In the past, Direct Mail was labor intensive and the upfront costs made it an investment. But with new technology from MovingLeads.com, direct mail is now the most affordable and efficient way for movers to market their business. Now it's time to break it down. Past: If you didn’t have an in-house marketing expert, you might have struggled with artwork or had to pay an arm and a leg for a great graphic designer. A. Include all the elements that make a postcard design achieve the best results? B. Find the right leads? And if you're relying on a realtor friend to give you the RAW Data from MLS, you may have learned that doesn't always work well either. Present: At MovingLeads.com we have over 14 years of experience in direct mail and mover lead generation. You can trust and rely on us to create the perfect postcard for your business AND get it mailed to the right person, at the right time! Past: Staff members manually search for leads or painstakingly attempt to “verify” lead list by manually searching on-line for signs of vacancies like pictures showing the empty home. Present: Our industry leading technology electronically monitors public sources to identify potential leads the day that they list their home for sale. It double verifies that the lead is viable using county records and the latest data from the Post Office. Only the best, viable leads are delivered to you automatically every week within days of the listing. Past: The manual assembly of direct mail required an investment to pre-purchase supplies like stamps, labels, and postcards. Pre-purchases often required minimums or large quantities to effectively manage the program. But this meant investing and committing to mailing large quantities over extended period of times. How much did it end up costing upfront? How much labor was spent on ordering, tracking and maintaining inventory, storing and shipping? Present: The latest printing technology allows postcards to be printed and addressed in one-pass; literally printing “on demand.” On demand printing completely eliminates the need to maintain inventories of supplies. Postcards, labels, and postage don’t require upfront investments any more. Services can be started and stopped quickly, so you’re the one in control of the expenses! No long term contracts or commitments mean you can scale as needed and see results quickly with less risk. All the costs are included in simple per-piece pricing and you pay-as-you-print. Present: With MovingLeads.com automated services we do all the work of assembling and managing your direct mail campaign. Your Staff’s only task is answering the phone when a great lead gets your postcard and calls your number. What does doing Direct Mail on your own really cost you? And this doesn't include all the fixed costs of direct mail, like postcard inventory, boxes of labels, and postage! While the comparisons above highlight how technology and automation can reduce the costs of direct mail, what about the gains in productivity? Below are some gains in productivity you will enjoy with a move to automated services from MovingLeads.com. You want your employees to be engaged in their jobs, working diligently and fulfilled. Looking up Zillow ads to see if a house is vacant is not a rewarding task. Especially when you can spend only pennies for the same data delivered to you automatically. Give your employee the rewarding task of answering phone calls and booking moves! What could your employees be doing with their time instead of mundane marketing tasks? One possibility is spending more time on customer service. Re-direct their time from addressing postcards to more valuable tasks such as placing "after move" calls to drive referrals and collect feedback for testimonials. Or simply free up their time to provide even better customer service to new incoming calls. Automated services lead to reliable sales pipelines. 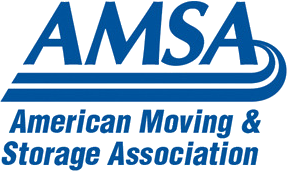 You can read more about how our customers book bigger, better moves with our automated services here. By saving time on labor and expenses, and developing a robust pipeline, you’ll experience a better ROI on your marketing. Think about what you could do if you could increase profits this year. A new truck? A better CRM and billing system? MovingLeads.com wants to help you grow your business, by providing reliable, hands free marketing you can use to drive sales. You can rely on timely marketing when you choose an automated program from MovingLeads.com. We get postcards into the hands of homeowners that have just listed their homes for sale. You have the opportunity to “ask” for the business in a fast and timely way. And what happens, if you don’t? Chances are one of your competitors will be there first. An automated direct postcard campaign is the best way to gain an edge on the competition. At MovingLeads.com we work to stay ahead of new technology that will improve our services and the results of our customers. Our advanced system of lead collection and verification, combined with our On-Demand High Tech printing has revolutionized direct mail. We want to pass the savings on to you! Are you interested in seeing some of our templates? Remember, they are totally customizable with all your business information and branding. Call today and start mailing next Monday! (303) 443-0767!